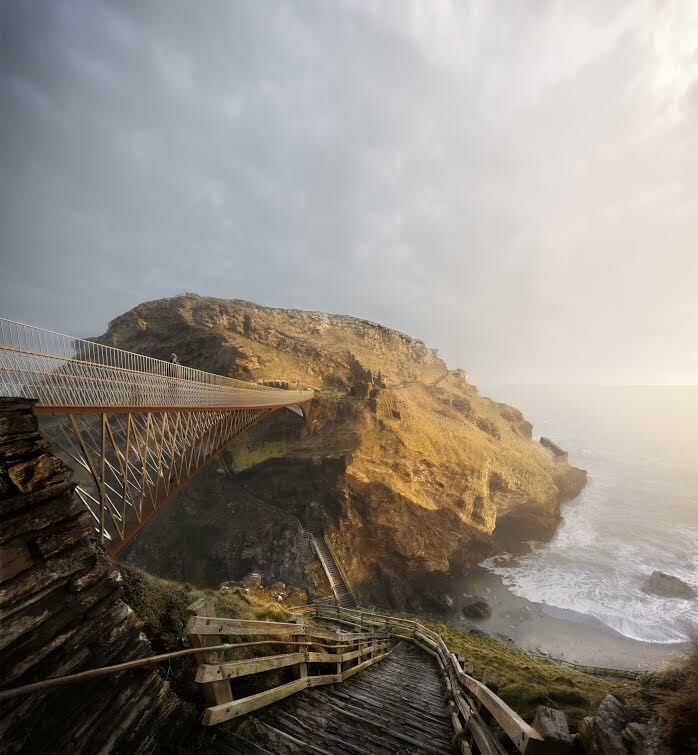 We have been able to access pictures of a new footbridge that it is hoped will be built at Tintagel Castle, North Cornwall. English Heritage want to build the breathtaking bridge at the world famous site, the legendary birthplace of King Arthur. The remains of the ancient castle at the moment can bee seen on both the mainland and headland that were at one point connected by a strip of land. This new bridge which will be constructed slate, oak wood and steel will follow the route of the original land bridge. The winning design by Ney & Partners Civil Engineers and William Matthews Associates has been selected from 137 entries from 27 countries. It has gone on public display for the first time this week to test the public response. The bridge is due to be completed in 2019 – if it gets planning and regulatory approval – and will be used by the castle’s 200,000 annual visitors. 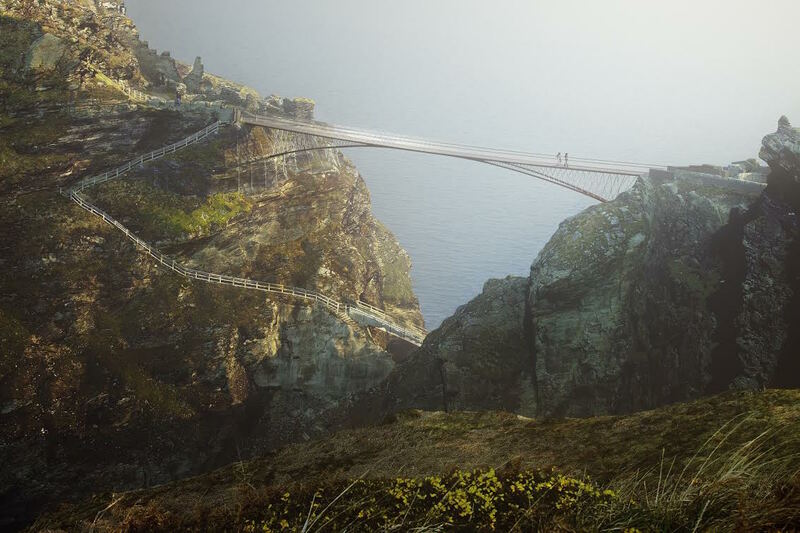 English Heritage’s Project Manager Reuben Briggs said: “There was a great deal of interest in the proposal to build a new bridge at Tintagel Castle when we announced the winner of our design competition in the spring. 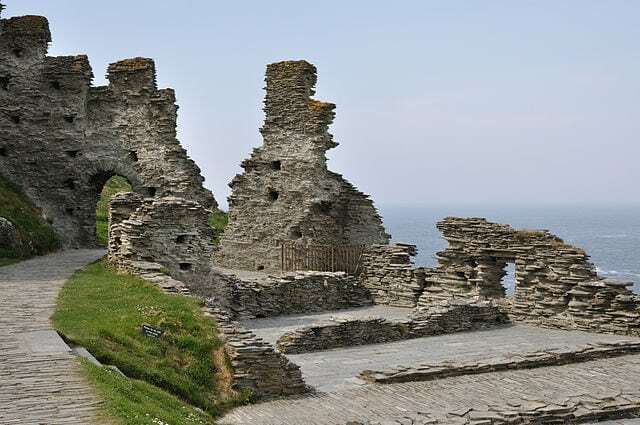 William Matthews, founder of William Matthews Associates, said: “Tintagel Castle attracts visitors for many reasons: the dramatic landscapes and geological formations, the Dark Ages remains, the ruined 12th century castle and the legends of King Arthur and Tristan and Isolde.